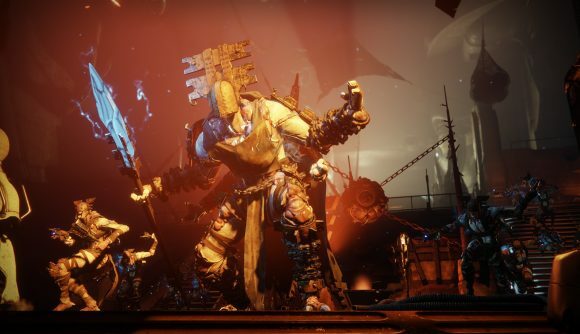 Destiny 2 creator Bungie had initially wanted to enable cross-platform character transfers between PlayStation 4 and PC (and conceivably Xbox One as well), but Sony – which has a deal with Bungie to make certain Destiny 2 content PlayStation-exclusive – put the kibosh on the idea. That’s according to Kotaku’s Jason Schreier, who discussed the topic on the most recent episode of Kotaku’s Splitscreen podcast. As they wrap up the discussion on Destiny 2, Schreier mentions the idea of transferring characters between consoles – a feature that would make it much more convenient for players who wanted to join their group of friends on another platform. But Sony’s deal with Bungie goes a bit beyond simply walling off crossplay – as we’ve seen, Destiny 2 has had PS4-exclusive content along with both major releases, and that’s preventing players on other platforms from accessing content that’s already in the game, like the Wavesplitter. And having the ability to transfer character data between platforms would inarguably be a massive benefit to players, particularly in a multiplayer-focused experience that puts a high premium on teamwork in the endgame. It’s a shame that function hasn’t made it into the game thanks to a exclusivity deal.